Submitted Photo Snow Camp at Audubon Community Nature Center is a day of fun and learning for kids ages 4-12 on Presidents Day, Monday, Feb. 18. JAMESTOWN — Mid-winter is a great time for children to get outside, burn off some of that cabin fever energy and explore the winter world. On Presidents Day children get a chance to play and learn in the winter wonderland of Audubon Community Nature Center (ACNC). 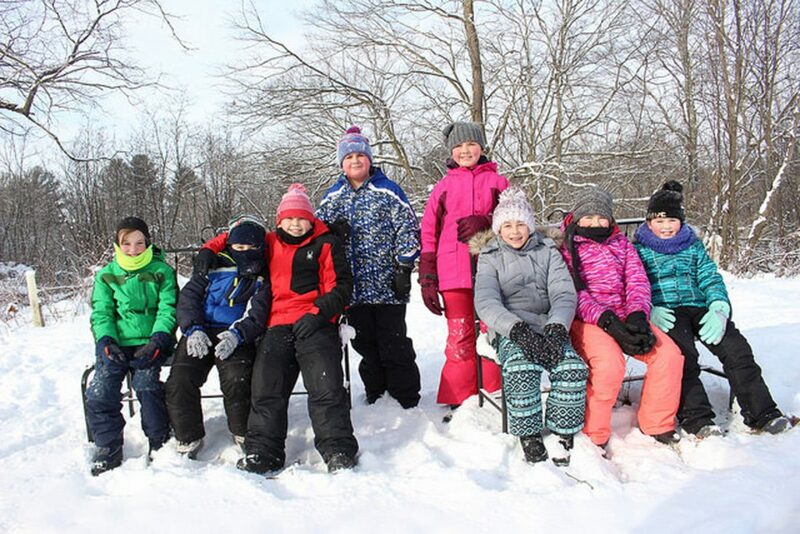 From 9 a.m. to 3 p.m. on Monday, Feb. 18, kids ages 4 to 12 can have fun at Snow Camp at Audubon. Whether it is an animal track in the snow or a flock of birds flying high above, discovering is the theme of the day. Naturalists will lead children through forest and fields, along pond edges and deer trails. Winter wildlife abounds and this is a great opportunity for children to discover it. As the program takes place indoors and out, children need to be dressed appropriately. Cost for the day is $30 or $25 for members. Siblings receive a $5 discount. Audubon Community Nature Center is at 1600 Riverside Road, one-quarter mile east of Route 62 between Jamestown and Warren. The Nature Center building is home to the Blue Heron Gift Shop and three floors of interactive exhibits, including live animals that inform and engage visitors of all ages. Hours are 10 a.m. to 4:30 p.m. Monday to Saturday and 1 to 4:30 p.m. Sundays. Bald Eagle viewing and trails for snowshoeing and cross country skiing are open dawn to dusk every day. To learn more about ACNC and its many programs, call 569-2345 or visit auduboncnc.org.